I am Terry Burr - the owner/operator of the family run "The Burrs and the Bees". We've been providing the people of Puslinch Township with award winning wild flower honey and beeswax candles since 1980. Until this Web-site was developed, word of mouth has been our primary method of meeting you the customer, along with our presence at the Aberfoyle Fall Fair. For your convenience you can get our honey and candles at our road-side stand at 4190 Sideroad 20 S, Puslinch. It is always open. For other locations please look at our OUTLETS Section. What makes our honey the best? I'm not sure I know how to properly answer that question; but, let me try. First of all, our honey is typical Southern Ontario Honey. What does that mean? It means it is not pure clover honey, that many people are familiar with from grocery store purchases of years gone by. Let me explain a little further. Canadian Honey from Western Canada is typically white clover honey. Those with a very discerning taste (or those that have samples from different years) will notice that our honey may be slightly different year to year. This subtle difference is compliments of mother nature and her ability to give the bees varying volumes of nectar sources, such as more nectar from some plants in that year and less nectar from other plants. Does honey need to be pasteurized and is our honey pasteurized? In a word: NO. But let me explain further. Honey contains no bacteria, thus explaining why (if sealed) it can keep forever. This also explains why it does not need to be pasteurized. 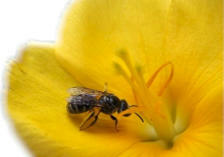 The enzymes that the bees add to the honey gives honey its anti-bacterial properties. Milk needs to be pasteurized. Honey does not. The pasteurization process in honey will kill wild yeasts and it will kill enzymes. There are many issues to discuss here and this is not the forum to do that, but I think it boils down to a personal choice. I choose unpasteurized. Killing wild yeast will prevent fermentation in honey with too high a moisture content, but killing enzymes may remove some health benefits from the honey. The only caveat I would give is that for some small percentage of the population, there may be an allergic reaction to yeast. In their case the pasteurization process may be valid. In my opinion the big producers use pasteurization for convenience; the convenience of being able to heat their honey and move it faster and easier in the bottling process. What is raw or pure honey? Our honey is not raw, it is not pure. Well, actually it is, but, officially it is either liquid or creamed, and of course it is unpasteurized. Why do I mention these terms? Only because fair labeling rules have set standards, so the consumer is not confused. Our labels follow these standards. Actually our honey may not be raw because it is filtered three times in the extraction process and some have defined raw to mean "unfiltered"; but others have defined raw to mean "unaltered", and others to mean " unpasteurized ". And that is the crux of the whole labeling issue - those terms are not precise. So what makes our honey best? Probably the only unbiased opinion is from the judges at the Aberfoyle Fall Fair. Our honey has been entered in the honey class since its inception in 1995 and we have always placed in the ribbons. It is good honey. It has a consistent taste and appeals to those wishing a mild gentle honey. The big commercial honey producers are typically from Western Canada and the packagers rely on supplies from them. Typically this honey is pasteurized. (I'll mention more on that later). To further complicate issues, the consumer needs to read labels carefully. The familiar Canadian Clover Honey is now not always available and the replacement product is a mixture of Canadian Honey and imported Honey. 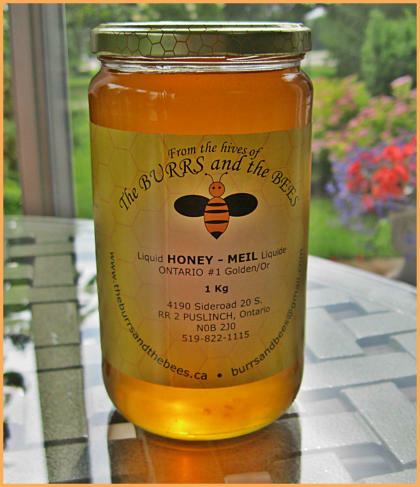 Southern Ontario Honey has a distinct flavour over clover honey. Ontario does not have fields upon fields of white clover. But, what Ontario has over the west is fruit trees, basswood trees, locust trees, dandelions, wild clover, many wild flowers (spring flowers, summers flowers, fall flowers) and many plants with high nectar producing capabilities. This combination of nectar sources produces that distinct Ontario Honey flavour and our Honey has that distinct flavour. It is my opinion that the basswood tree nectar supplies the strongest "tang" to our honey and we have lots of basswood trees in our area. 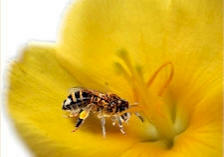 We now harvest our honey at three distinct times (assuming the nectar flow has been sufficient to allow for it). Spring, Summer, and Fall. Each season creates a slightly different taste and each customer will have a favourite.